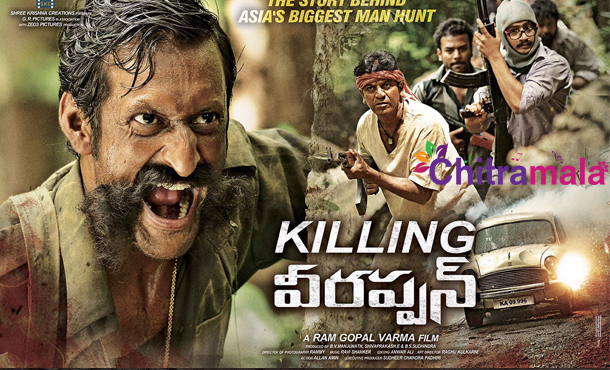 Controversial filmmaker Ram Gopal Varma’s ‘Killing Veerappan’ is all set to hit screens on 1st January 2016. He has shared many exciting details about the film based on dreaded smuggler Veerppan. Varma said that the film follows the story of an ordinary man who killed Veerappan. ‘1200 police men worked hard for 15 years but couldn’t capture Veerappan. It is also the story of how police system failed to nab him. As per his wife, Veerappan is a very kind man and much better than Gandhi in character. However, circumstances forced him to do unexpected things. She told me many exciting things and I paid her some amount as remuneration of script writer,’ added Varma. Ram Gopal Varma is set to shift his base to Mumbai after the release of this film.